New Mega Drive game by 1985alternativo... Project ANTAREX - a shooter!!! 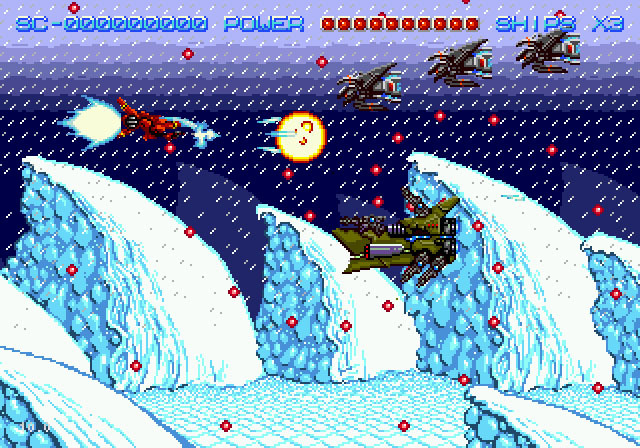 Thread: New Mega Drive game by 1985alternativo... Project ANTAREX - a shooter!!! 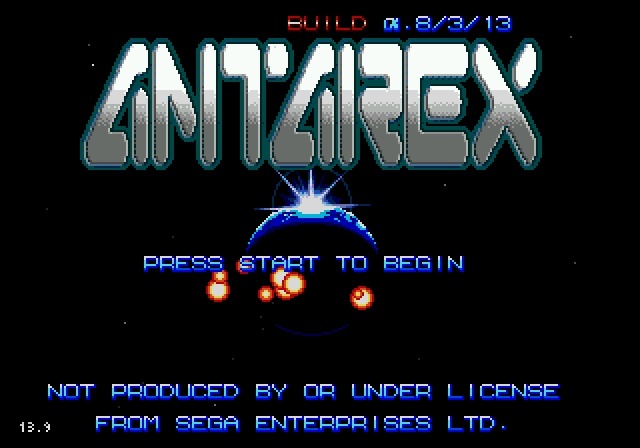 As you know we wanted to take advantage of the recent RetroBarcelona to present the next game for Mega Drive, 1985 Alternative: Antarex Project. The truth is that the occasion could not have been more propitious, since despite being the first edition, the fair has shown Retrobarcelona suggests ways to become a benchmark. But we'll talk soon to share our pleasant impressions. We leave you with the video of the impromptu presentation by Ignacio, Manu, Snowy and Jordi Montornes Dani. Remember that the whole team is open to all suggestions and impressions, since the most important here is to gather ideas to further improve the game. Thank you very much guys for an incredible host. Last edited by retrospiel; 11-10-2013 at 10:36 PM. When it's finished, where can I buy it? Ys: The Vanished Omens with FM Sound Patch! Another new Mega Drive / Genesis game - and it's a shmup! Awesome!!! Sign me up, and keep 'em coming, guys! Looks like 1985alternativo is already working on a new project. This interview on a spanish gaming blog (translated via Google Translate) shows pictures of a new upcoming game, a shmup called Project Antarex. Awesome news! Thanks for posting the video Christuserloeser! The game looks alot more polished than I expected! Visually it looks great! So its got Megadrive defying Axelay style levels, and sideview levels with Super Castlevania 4 style mode 7 effects... great stuff! Also, let's hope the hitbox is a lot smaller than it looks by the size of the ship. God dammit, i'm sold to this one. It reminds me a little bit of Hellfire. I'm interested in this, but I think it could do much better. The ship looks really slow and clunky, and it's huge, which is kind of bad for shooters of this nature. I think they should improve upon this game a lot more by making the ship smaller and more agile. The music as well is just really grating, and those FM drums are just bad. I hope they aren't using anything like that in the game itself. Oh my god finally, a new shmup for the MD that even shows the systems capabilities!! This is the first time I've actually been excited for an upcoming project of a release for a new game to an old school console. WHERE DO I PRE-ORDER IT????? Does the ship tranform into robot during game like title screen shows ? Then Transbot mixed with Hellfire it is.